Jumping is a behavior that can be traced back to our wolf brothers and is continued with current day dogs. Dogs jump for different reasons: a treat, a toy, a closer look but we are definitely sending a message. For me, I jump for joy. On the other hand, Sister does a ‘Me, Me’ jump. She wants the attention focused on her. “Ignore, Brother. Put the book down. Say hi to me first. Give me the treat,” you see what I mean. Most of my jumping is exploration oriented. I have been known to get on the dining table but that is actually climbing because I had to use a chair. Bathtubs hold an attraction for me so I jump in them when given opportunity. Ohhhh. I wonder why not. Wowsers…that was top agility quality! It played for me. Good Job with Jumping. 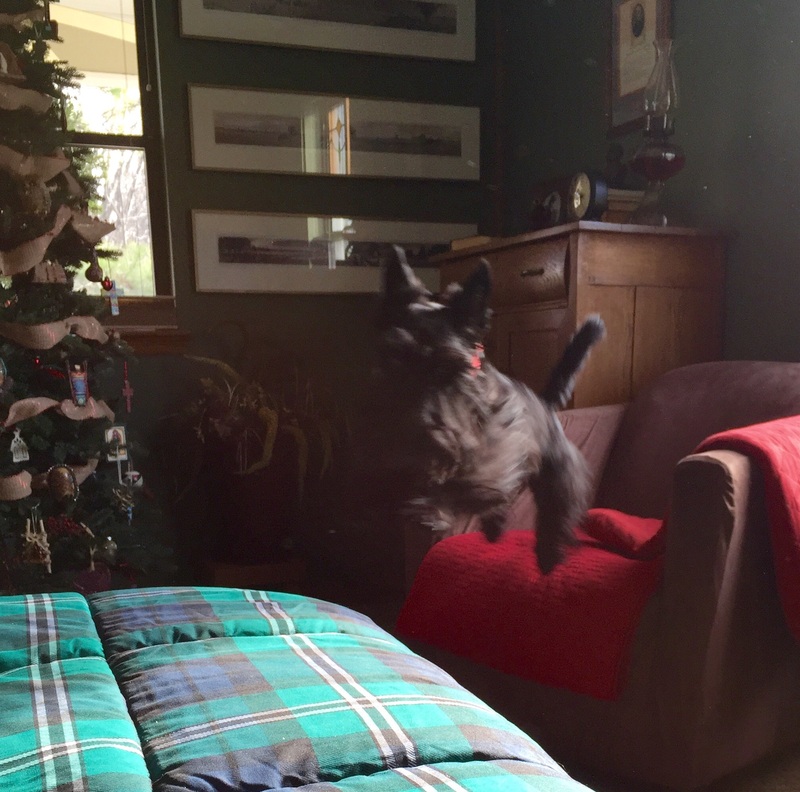 I like to jump up into chair or bed then I do a whirling dervish. After I have gone around and around for 87 million times I jump down and run to my next chair and do the whirling dervish thing again. Mom just watches and laughs. Sister does that. It’s funny. You are a great jumper, Indy. You make it look so easy and fun. 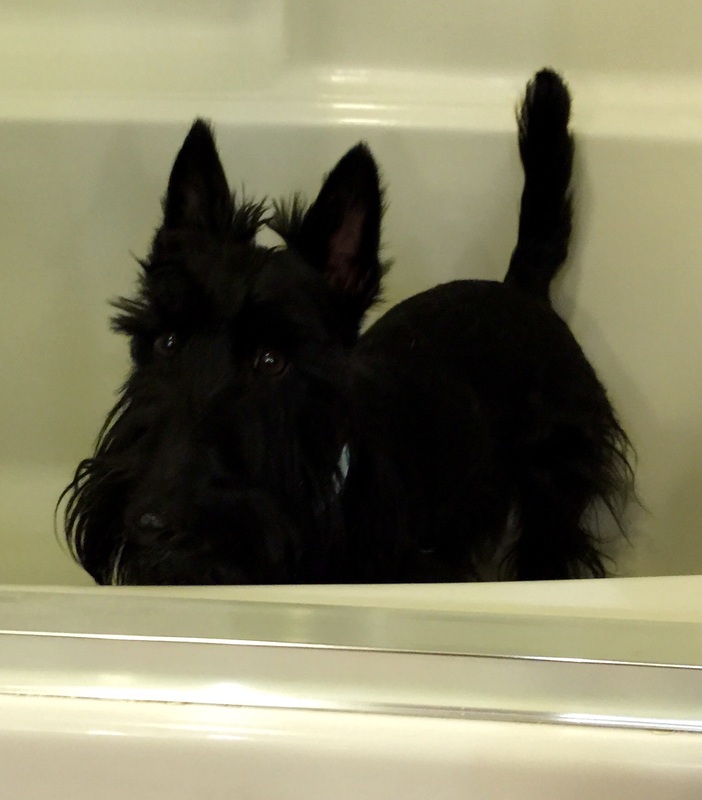 I have long legs for a Scottie. Sister has shorter. That’s why she can’t jump on the bed. 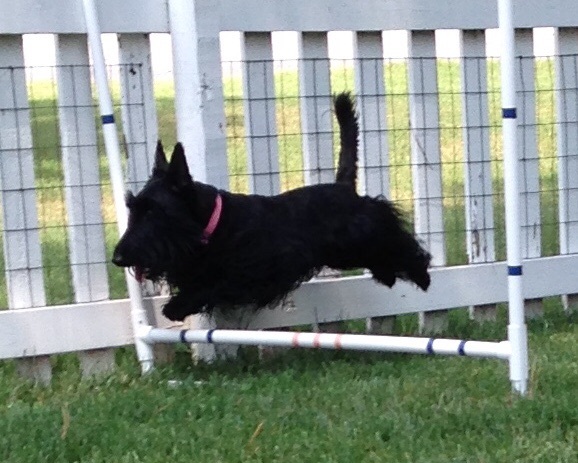 SOPHIE was a master jumper in the house, but she refused to go over the one inch hurdle at obedience class.